IP finance: So What Is the Current State of Counterfeiting in China? So What Is the Current State of Counterfeiting in China? Having just finished one month as visiting faculty at the School of Management at the Indian Institute of Technology-Bombay, I appreciate more than ever the elusiveness of talking about a setting as complex as India. With over a billion residents, various ethnic and religious groups, and over 20 distinct languages, there is seldom, if ever, such a thing as "India". When it comes to talking about India, context, nuance and focus are central; generalizations are often misguided at best, misleading at worst. I was reminded of this in reading an article in The Economist on brands and counterfeiting in China. Entitled "Pro Logo: Brands in China" (January 14, 2012), the focus of the article being the assertion that "Chinese consumers are falling out of love with fakes". This tagline is bold stuff indeed. China is often portrayed as the epicentre of counterfeiting. A change in this regard would go a long way to altering the perception of Chinese markets and consumers and provide further evidence of the normative integration of China into the world community. And so the critical question--do recent developments in China, as described in the article, live up to the broad the broad tagline of the article? 1. The article devotes nearly 20% of its word count to an anecdotal account of a proceeding in which a retailer of pricey imported furniture--named Da Vinci--was fined for mislabelling that its wares are imported where at least some of the goods were made locally. This so-called "murky affair" reveals changing attitudes by the Chinese consumer: "Not long ago, the Chinese shoppers applauded the fakers for saving them money. Now they scorn them. If it's a fake, the well-heeled sneer, you can't flaunt it." 2. Thus Bain concludes that "demands for counterfeit products is decreasing fast." McKinsey adds that the percentage of consumers willing to buy fake jewelry has dropped from 31% in 2008 to 12% last year. In McKinsey's words. "Consumers are looking for the real thing, and they are increasingly willing and able to afford it." The article does not further elaborate on the sample and populations involved in reaching these conclusions. 3. A recent survey by the EU-China Chamber of Commerce suggests that concern over counterfeits has declined as a concern by its members. Alas, when nuance kicks in, the story as reported is considerably different: (i). In 2009, it was estimated that 30% of mobile phones were fakes. (ii). The Business Software Alliance estimates that nearly 80% of software sold in China was not genuine. (iii) According to the United States Trade Representative, eight out of the 30 most "notorious" counterfeit markets in the world are located in China. 4. Cash-short Chinese youth are still in love with counterfeits. It is only with the become "Thirty Somethings" and accumulate some spare cash that they might begin to resist fakes. 5. 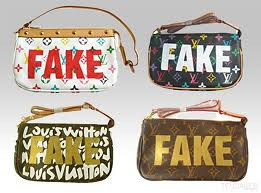 One major reason why counterfeiting has "declined" is that companies have learned "to live with fakes", such as setting up branded retail outlets to control distribution or setting up fake-proof "e-coding" for pills. 1. Among the most affluent consumers, there is some support that brand sensitivity with regard to luxury goods has resulted in hostility to counterfeits. How deep or broad this goes is unclear. 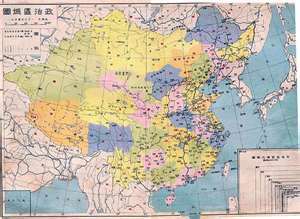 In particular, one wonders whether such sentiments apply the further west one goes into the Chinese interior. 2. Once one leaves the world of luxury goods, counterfeiting still seems widespread. Any decline in such fakery may be more attributable to better coping behaviour by the brand owners that fundamental changes in Chinese consumer sentiment. 3. Whether the development of local Chinese brands will affect consumer preferences for counterfeits generally remains unexamined. These conclusions are interesting because they reflect the diverse currents that characterize Chinese attitudes to counterfeiting. It is a shame that The Economist did not satisfy itself with giving expression to these various factors rather than seeking to shoe-horn its discussion into an overly broad and misleading view of the subject.